Roughly 34 million Americans now have asthma, about 7 million to 8 million of which are children. (1) Asthma is behind 12.8 million missed school days and 10.1 million missed work days in the U.S every single year. In addition, asthma costs the U.S. about $14.7 billion a year in medical costs, prescription drugs and lost productivity — leading many people to search for home remedies for asthma. What are some effective, holistic ways of treating asthma that can help prevent attacks instead? Home remedies for asthma that don’t require taking prescription medications or even using inhalers include limiting irritant exposure, reducing food allergies, improving gut health, supplementing with vitamin D or getting more naturally from the sun, and maintaining a healthy weight. Asthma is a condition characterized by difficulty breathing and narrowing of the airways leading to the lungs (including the nose, nasal passageways, mouth and larynx). In people who have asthma or allergies, the blocked or inflamed airways that cause asthma symptoms can usually be cleared with help from certain lifestyle changes and treatments. Following are home remedies for asthma that can help treat this often inhibiting condition. Eating a healthy diet supplies asthma sufferers with antioxidants and nutrients to combat environmental toxins, control inflammatory responses and reduce dietary triggers. Eating a wide variety of foods can ensure that you or your child gets all the nutrients needed to support strong immunity. There have been numerous studies that show consuming the right foods can be the one of the best home remedies for asthma. Foods with folate (vitamin B9): Folate reduces allergic reactions and inflammation. It might be capable of lowering wheezing by regulating inflammatory processes as well. (4) High-folate foods include green leafy vegetables, beans and nuts. Foods with magnesium: Low levels of magnesium are associated with increased risk of developing asthma, and increasing magnesium has been shown to reduce severity of asthma attacks and symptoms like muscle-spasming anxiety. It’s been found that magnesium can induce bronchial smooth muscle relaxation and allow air to get into and out of the lungs more easily. (5) Sources include greens, nuts, seeds, beans, cocoa and certain ancient grains. Garlic, onions and mustard seeds: All are considered natural antimicrobials. They may help to fight bacterial infections and improve overall immune health. They also contain the antioxidant called quercetin, which inhibits inflammation. Raw milk and cultured dairy: Raw dairy seems to protect children from developing asthma and hay fever symptoms. 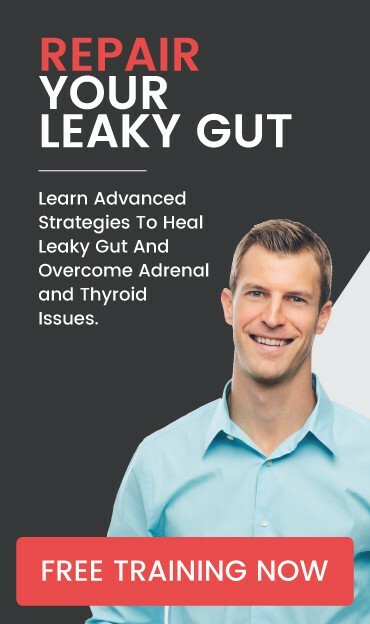 (7) The healthy probiotics in raw milk strengthen the immune system, and research shows that probiotic foods improve digestion and help stop allergic reactions that occur as proteins and other allergens pass through the digestive lining.. Mothers can prevent their children from developing asthma if they ingest probiotics while pregnant or breast-feeding. Prebiotics and high-fiber foods: These plant fibers help us eliminate toxins and feed healthy probiotic bacteria. Whole grains, nuts, beans, seeds and raw vegetables are loaded with prebiotic materials and are great sources of fiber. Foods with vitamin B5 (or pantothenic acid): It’s needed in larger quantities by asthmatics because they seem unable to utilize this vitamin correctly. It’s also been found that theophylline, a drug used to treat asthma, causes vitamin B5 deficiency. Pantothenic acid is also involved in adrenal function, and stress plays a large role in asthma. There are many ways in which processed and refined foods contribute to asthma. Lack of fiber reduces probiotic bacteria, depletes stomach acid and hinders proper digestion. The lack of nutrients in these foods stresses the entire body and makes it less able to neutralize toxins. The lack of fresh fruit and vegetables in the Western diet contributes to high levels of inflammation, deficiencies and overall poor nutrition. Children who eat foods fried in refined/processed vegetable oils and consume hydrogenated fats are much more likely to have asthma. These trans fats contribute to the presence of dangerous free radicals in the body. Children who are bottle-fed with powdered and pasteurized infant formulas are significantly more at risk of developing asthma and allergies than those who are breast-fed. The high sugar content in many processed foods contributes to the overgrowth of yeast or candida albicans. Yeast can be a trigger itself, but worse, it steals valuable nutrients from the digestive tract. Hidden food allergies are often triggers for asthma attacks. The most common food allergies are to pasteurized milk products, gluten, soy, eggs and nuts. Wheat gluten and soy are present in a wide variety of foods. They hide on labels as hydrolyzed vegetable protein, lecithin, starch and vegetable oil. Food preservatives and food coloring can trigger asthma attacks. Avoid MSG, tartrazine (yellow food dye), sulfites and sulfur dioxide, to name just a few. Avoid animal products treated with hormones and antibiotics as well as pasteurized foods and drinks. Farm-raised fish is laden with these chemicals and has high mercury levels that correlate with increased incidence of asthma. Another rising star in home remedies for asthma is vitamin D, which seems to slow declining lung function and supports immune health. It also stops lung “remodeling,” the narrowing of breathing passages over time. Calcitriol, the form of vitamin D we make in the body, is a natural anti-inflammatory, yet many people are chronically low in vitamin D due to spending less time outside and eating low-nutrient diets. The daily recommended dose is about 600 international units for adults, which can be obtained through a combination of sun exposure and a healthy diet. Vitamins C: Increases immunity and acts like an antioxidant, reducing free radical damage and inflammation. B vitamins: Help support cognitive functions and immune health. Vitamin B3 and vitamin B12 have been found to be low in asthma patients but are nutrients that lower antihistamine levels and reduce wheezing. Zinc: Supports adrenal health and aids the body in coping with stress, which has been tied to worsened asthma symptoms. Magnesium: Can help reduce asthma symptom severity, including pain, anxiety and emotional stress. 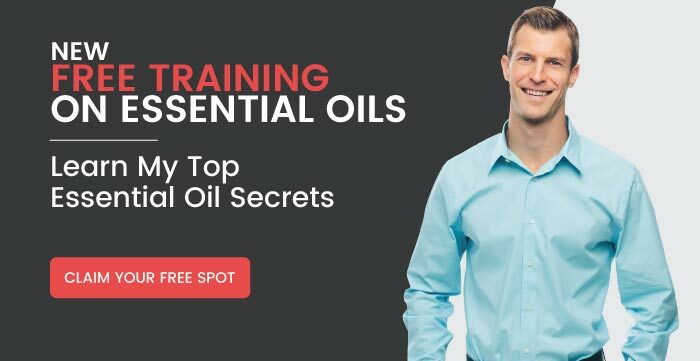 Many people with asthma frequently cough, wheeze and have trouble breathing, all of which essential oils — particularly essential oils for allergies — can help manage. As mucus (phlegm or sputum) or other substances accumulate in the airways, these symptoms kick in as reflexive actions that try to facilitate unobstructed breathing. Try making a homemade vapor rub with eucalyptus oil and peppermint oil to open up airways. Frankincense oil can be used to lower inflammation and swollen lymph nodes, and lavender can be used to help mitigate symptoms, such as anxiety and mood changes. Try to keep a window open even during the winter to bring fresh air in. If you can afford it, use a heat recovery ventilator (air-to-air heat exchanger) to bring outside air in. Avoid secondhand smoke from wood-burning stoves and cigarettes. Switch to natural cleaning products or use baking soda, lavender oil and vinegar to make your own. There are many simple recipes available online that can keep added chemicals out of your home and save you a bundle of money. Avoid antibacterial soaps and disinfectants. Avoid aerosols and petroleum-based ingredients in your health and beauty products. Instead use natural products made from essential oils. Use a dehumidifier in damp areas, and fix water leaks to reduce mold. Buy a water filter to remove chlorine from your tap water. Install flooring or carpets that you can vacuum beneath to reduce dust mites. Wash bedding weekly, and keep upholstery and carpets regularly vacuumed. Use sheets and pillow cases that are non-allergenic and don’t contain down or feathers. Keep furry friends out of the bedroom to limit the amount of pet hair you’re exposed to. Clean and brush pets regularly to remove some of their fur that can wind up around your home. Cockroaches are another asthma trigger, so speak with a professional exterminator if you suspect you might have some in your home. Asthma has also been linked to a condition known as forward head posture (FHP). FHP occurs when your head shifts out in front of your body, and as a result the nerves in the lower part of your neck and upper part of your back from vertebrae T1-T4 become compressed and compromise lung function. To correct FHP, I recommend you seek the assistance of a corrective care chiropractic physician who can help improve your posture through chiropractic adjustments and spinal rehabilitation exercises. By retraining the spine and moving it back into its ideal alignment, pressure is taken off the nerves reaching out to the lungs. The Western lifestyle includes high degrees of emotional stress, and studies show that stress management techniques help reduce asthma severity. It’s well-known that stress increases the severity and frequency of asthmatic attacks because it hinders immune function and raises inflammation. In fact, studies show that roughly 67 percent or more of asthmatics have diminished adrenal capacity, increased anxiety and other mood disorders related to stress. Mood disorders are considered “adaptive diseases” — that is, they result from a person’s inability to deal with stress. Try natural stress relievers, including massage, deep abdominal breathing, progressive muscle relaxation, guided imagery and art therapies. These can all help reduce stress and give asthmatics the tools to modulate their stress responses. This lowers susceptibility to future attacks and lessens reliance on asthma drugs. There are many different theories about what causes asthma, but toxins and irritants (both from the environment and spending lots of time outdoors) are now recognized as primary root causes. Other factors that contribute to asthma development include poor nutrition, pollution, antibiotic abuse, possibly vaccines, autoimmune disorders, other medical disorders that affect the lungs, genetic susceptibility and high amounts of stress. The Western lifestyle correlates with increased numbers of asthma sufferers, which is not surprising considering the poor diet quality and high-stress environment. Asthma is rare in remote areas of Asia and Africa but much more common in industrialized, Western nations where people commonly eat inflammatory, low-nutrient diets. Spending lots of time indoors: This can reduce someone’s ability to effectively build the immune system and also increases exposure to certain allergens or irritants that can accumulate indoors (like dust mites, mold spurs, pet hair and other microbes). Sometimes childhood infections can affect lung tissue and cause the airways to narrow or become inflamed. Genetics: Studies show that asthma tends to run in families, although it usually isn’t completely genetically acquired. Poor posture: Compression of the lungs caused from poor posture might also contribute to symptoms. Exposure to environmental toxins: This can include fumes, pollution and chemicals released from construction sites. Here’s the good news: You can help treat asthma naturally by lowering environmental and dietary toxin intake, eating more nutrient-rich foods, addressing the nervous system’s role in lung functioning, and learning to better manage stress. All these home remedies for asthma come with little to no serious adverse side effects as well. If during an attack asthma medications aren’t able to help someone experience improvements immediately, then it’s important to visit the ER or call an ambulance right away. Although it’s rare, asthma attacks can sometimes become fatal, so being cautious is always best. Signs of a severe asthma attack that requires immediate intervention include a pale face, sweating, blue lips, very rapid heartbeat and inability to exhale. If asthma symptoms ever start recurring multiple times per day, make sure to see your doctor. Also mention to your doctor if symptoms ever become frequent or severe enough to interrupt sleep, work, school or other normal day-to-day activities. Keep an eye out for side effects of medications or other signs of allergies, which might make asthma symptoms worse, including a very dry mouth, stuffy nose, dizziness, pains and a swollen tongue. Asthma is a condition that affects breathing, which is caused by narrowed airways (bronchospasm), a swollen or inflamed respiratory system, and abnormal immune system reactions. Common symptoms of asthma include coughing, wheezing, chest tightness, shortness of breath, and pain or pressure in the chest. Risk factors and underlying contributors of asthma include an inflammatory/poor diet, low immune function, food or seasonal allergies, and exposure to household or environmental irritants. Eliminating food allergies, spending more time outdoors, and avoiding exposure to pollution or irritants found inside the home are all home remedies for asthma symptoms.